Many of you know that last week I tagged along with Adam on a trip he had for work. 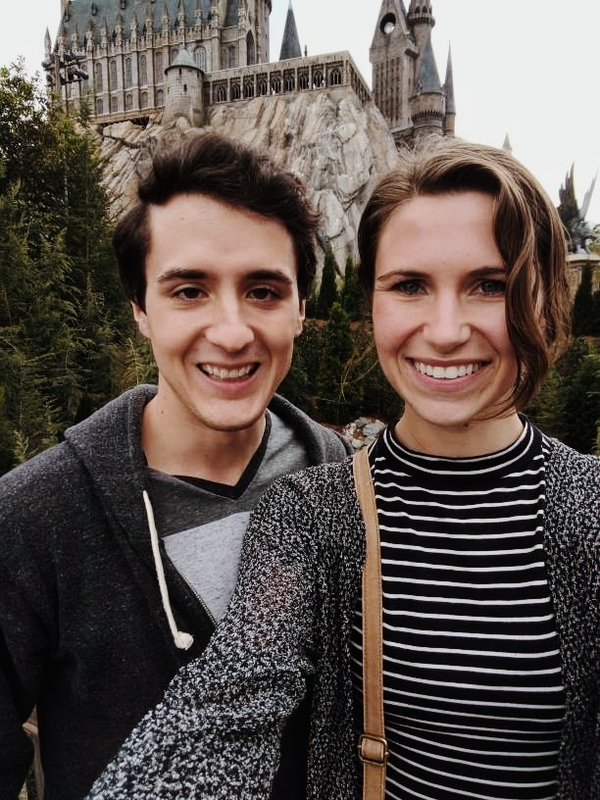 He was going to a children's ministry conference in Orlando, and so I went with! I spent the week working remotely (poolside!!) 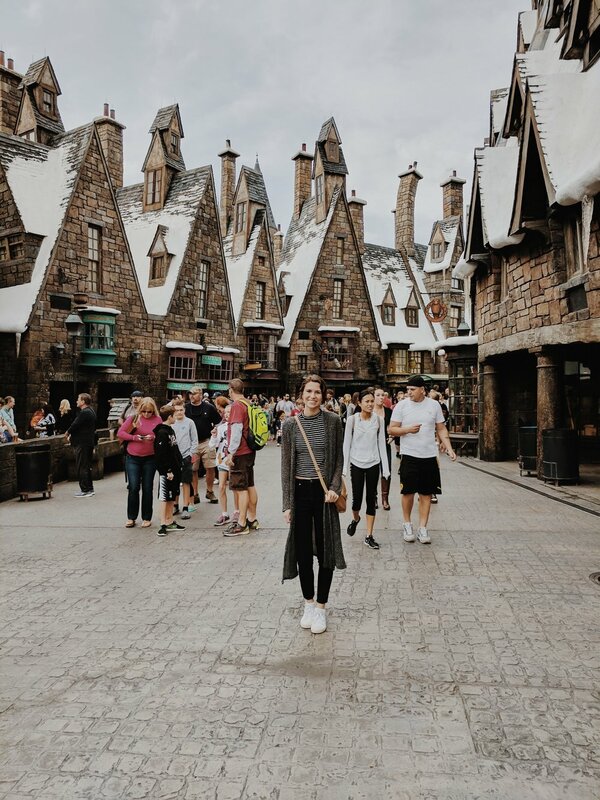 and on Friday we went to THE WIZARDING WORLD OF HARRY POTTER!!!!! It was one of the best days ever. Adam and the rest of the Hero Central team flew out on Monday. I stayed in Milwaukee Monday because I have been having some pretty tight deadlines with a company I work for and wanted to get as far ahead as possible with some of my video editing for them. Tuesday morning, I said goodbye to the Bubs, called an Uber and was off to the airport! Over the last two weeks, I have taken a total of SIX flights by myself. Two weeks ago I was traveling for a company so I traveled solo for all of those flights, and I also traveled to Orlando solo which puts my total at six. Honestly, I have loved traveling by myself. It just seems so much more adventurous than traveling with other people. I'm not sure why, but does anyone else feel the same? haha Anyway, on the way to Orlando, I was able to spend the entire duration of the flight editing videos. It was great because it made the flight fly by (ha!) AND I was able to accomplish all the editing that I needed to in that three hour window, which meant I got the rest of the night off. I arrived in Orlando around 2pm and Adam picked me up in the rental car. It was about 72 degrees that day and I have to say there is NO better feeling than stepping out of the airport into warm weather after being cooped up all winter. The entire car ride I had the windows down with my head halfway out the window! We hung out for a few hours until Adam and the team went back to the conference for the rest of the evening, so I was alone at the hotel until about 9pm. So what did I do with that alone time?! Went in the hot tub! Wednesday, my first full day in Florida, I finished the editing I needed to do for the day by 11am so I spent the rest of the day parked in front of the pool with my books. I kid you not, the temperature was 78 degrees. So my entire day consisted of bouncing back and forth between reading, swimming, and napping. It was also pretty funny because when I would look around to see who else was at the pool, I noticed that I was the only one under the age of 65. I was hanging out with the retired snow birds! I think I finally went in from the pool around 4:30pm to get ready to go out to dinner, and it wasn't until I looked in the mirror, that I realized I had forgotten to wear sunscreen that day. That night I was able to join the group for dinner! Thursday, I had planned to spend the day by the pool again. Since I had gotten so sunburned the day before I decided it wasn't a good idea. I also had a lot more work to accomplish on Thursday so I spent the entire morning editing on the hotel patio. When the team came back to the hotel for their lunch break, I finally changed out of my pajamas! After lunch, I made a last minute decision to join them at the conference since the afternoon was comprised of large group sessions. So, at the conference I listened to Melissa Macdonald, Bryan Loritts, Menchit Wong, and Bob Goff speak. I was SO glad that I chose to join the group for those afternoon sessions. Finally, Friday came! This day was actually the entire reason I had gone with on this trip. 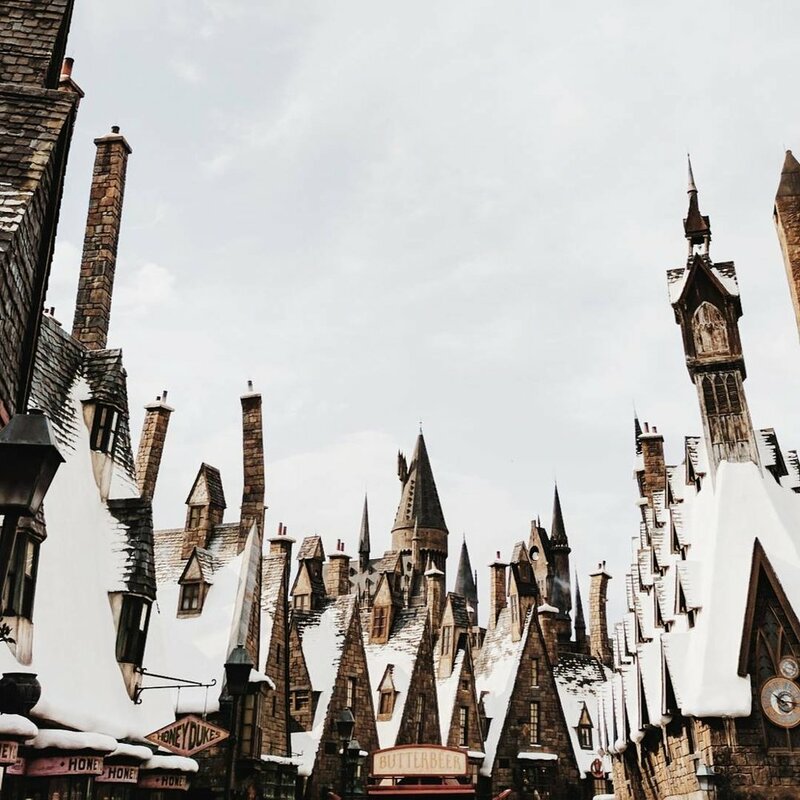 I have been dreaming of going to HP world for years. I grew up reading and watching Harry Potter, I have read all of the books at least 4 times each and watched the movies countless times. Yep, I'm a Harry Potter nerd. Anyway, we got dropped off at Universal Studios before it had even opened because we wanted to make sure we could enter the park as soon as it opened. Which we did. 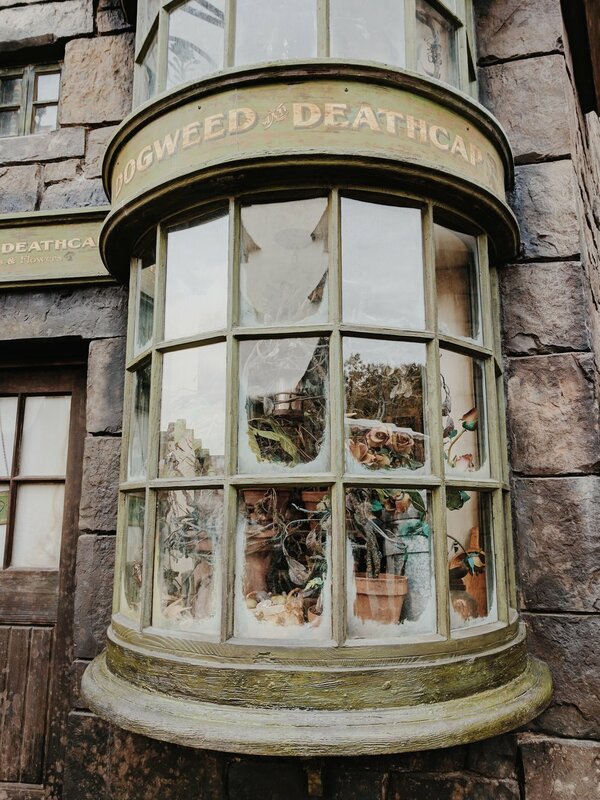 We ran through half the park so we could get to Hogsmeade as soon as possible and seriously walked right on to the first ride. (Later in the day, the wait time was up to an hour if not more!) I basically spent the whole day freaking out over every detail. 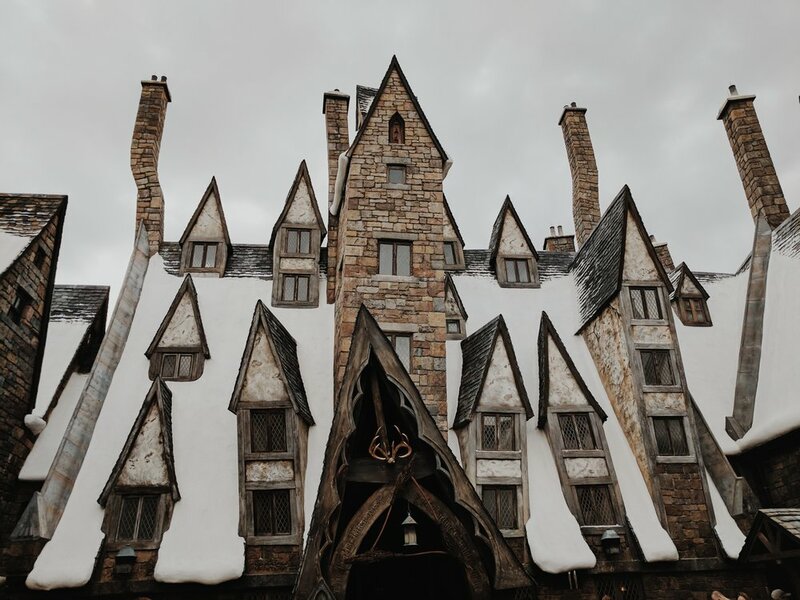 We rode Harry Potter and the Forbidden Journey, went to Ollivander's, strolled through Hogsmeade, rode the Dragon Challenge multiple times, took the train, explored Diagon Alley, rode the Escape from Gringott's ride, ate at the Leaky Cauldron, found Knockturn Alley, drank Butterbeer, and so much more!!! I had so much fun that I legitimately cried when we had to leave!